Katy has a very good eye for color. I was determined not to make another color blunder, so I lured her over here with the promise of a relaxing afternoon pouring over a stack of paint chips and a nice lunch. 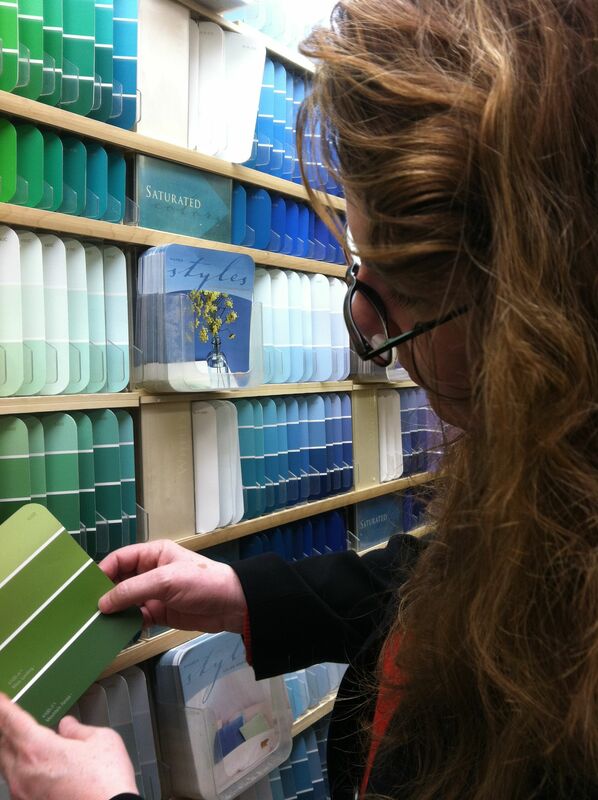 Katy examines each paint chip intently and shuffles them like a deft croupier. She flutters around the rooms holding them up against curtains and in different kinds of light. She is honest and precise. We marvel at the technology we can use to enhance the search. We play around with color apps. 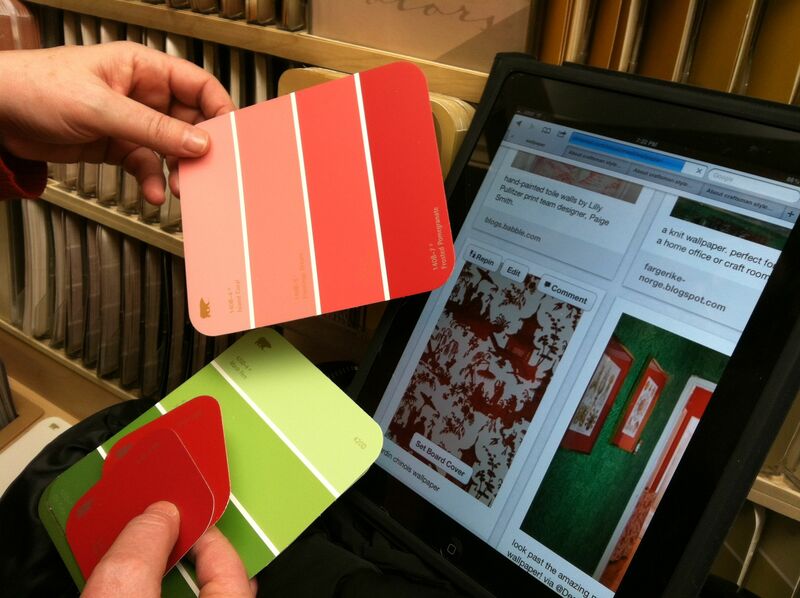 Then, we go to the computer and pull up the Benjamin Moore color search tool. We decline going through the rigamaroll of registering on the site so that we can choose favorites. Instead, Katy says “open up a bunch of windows so we can look at the colors side by side”. She thinks that our first idea for the living room color needs to change now that the entryway is a medium teal blue. We originally had a color in the blue family in mind for the living room. Now she thinks maybe a fresh green would be the ticket. We agree. 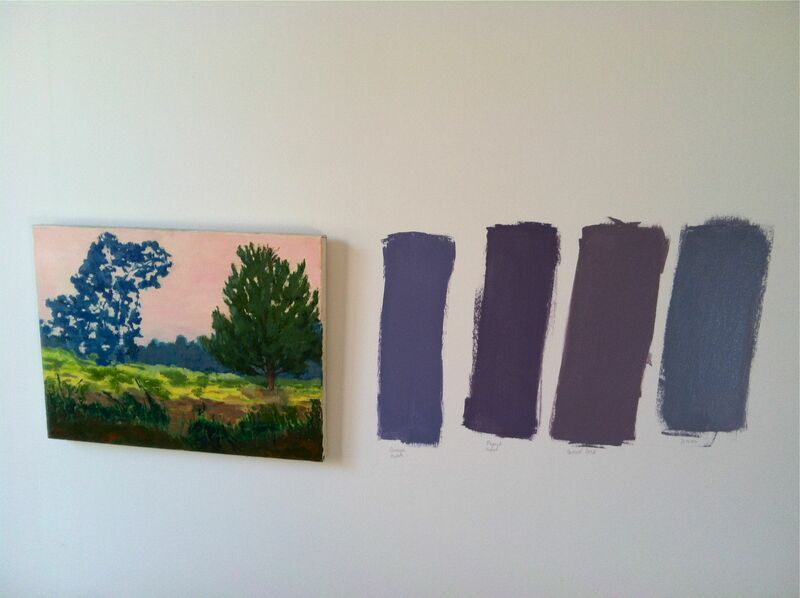 We take a trip to the paint store for in-person color selection. The master bedroom walls are painted in Benjamin Moore Venetian Marble. It is a pale color that is almost luminescent and is impossible to name. It changes with the light. Sometimes it is the palest lavender, sometime grey and sometimes it has a pink glow so that it is almost like the inside of a seashell. It is a gorgeous color and someday I will use that color again in my house. But now, I feel the bedroom should be darker and cocoon-like. Katy suggests a dark lavender. We test. I like Benjamin Moore’s Queen’s Wreath. Katy is still pondering what color I should paint the metal apartment door that will complement the teal blue stucco veneziano in the entryway. What do you think? Can you beat her to the punch? This entry was posted in our revamping and home design and tagged benjamin moore paint, benjamin moore queens wreath, benjamin moore venetian marble, paint color choices by ileana. Bookmark the permalink. Unfortunately, two of your photos are black boxes on my computer; not sure why. But I kind of like the idea of the door being either a soft silver or a steel gray. 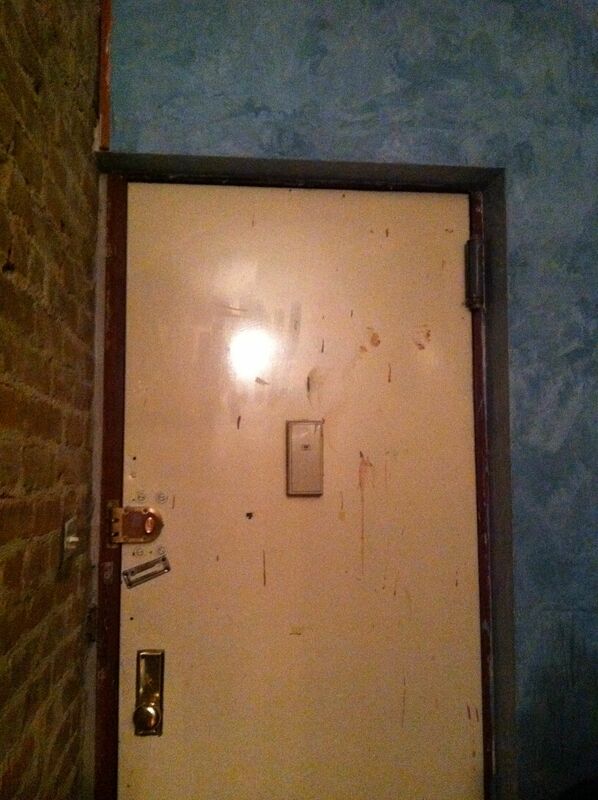 With such a complex color on the walls, the door should be simple without being boring. Hi Katy, what about a jade green? Like viridian that is almost the same value as the blue wall? Nick just suggested either a glossy black or taxi cab yellow! Hi Marge, Thank you so much for reading and taking the time to leave your wonderful ideas. Happy New Year!